We offer Flavored teas made by flavoring whole leaf organic Black, Green and Oolong tea with a variety of spices, herbs, fruits and flowers. These are available in boxes containing 20 pyramid tea bags, or in packets of 100 and 50 grams of loose tea. The Whole Leaf teas don't come in normal teabags as these require a lot of space for unfurling/expasion during brewing, and normal teabags dont allos such space. Therefore we use pyramid shaped teabags. Peach, Earl Gray, Vanilla with Green tea as the base. You can buy these teas on our online tea store. Flavored teas of late are becoming quite popular as people find it interesting to drink tea in a flavor of their choice! The large variety of flavoring agents (flower, fruit, spices and herbs) also offer a vast spectrum of taste that people could choose from. Having said so, most of the flavored teas available on the shelf use low quality (CTC black tea) as the base because the flavoring agent dominates the taste, thus limiting the health benefits! Budwhite flavored teas use full leaf black, green or oolong tea as the base for these flavored teas. It is worth understanding the difference between "flavoring" and 'blending". Tea blending refers to the process of mixing different teas together to create a final product. The idea is to provide a consistent taste all throughout the year. However, the concept is generally misused commercially by blending strong flavored low cost teas with good Darjeeling teas. Infusion is done at the time of drying of leaves, so that the leaves absorb the fragrance and not the moisture. Flavoring with fruits or herbs is done at the time of packaging. We also have a set of specialty/gourmet teas using certain combinations of various herbs, spices, fruits and flavors that complement each other and provide unique tea drinking experience. 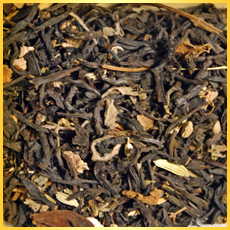 You should use flavored teas that have full leaf tea as the base. These leaves can come in pyramid shaped tea bags that allow sufficient space for the tea leaves to expand during brewing process. You can buy these teas online through our online store.